Originally from the Philadelphia area, Pete spent his school years in Tampa, FL. He is a graduate of the University of Georgia (1989) where, through the ministry of a local church, he learned the gospel and trusted in Jesus Christ. His life-long desire is to know the triune God and to walk faithfully with him. 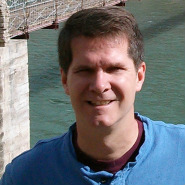 A graduate of Southeastern Baptist Theological Seminary (MDiv, PhD), Pete also taught theology there until 2010. He presently oversees the Bonhoeffer Haus--an onsite apprentice program for seminary students who are training to be future pastors, church-planters, and missionaries. Pete and his wife, Vicki, have eight children: Charis, Colby, Jacob, Zachary, Parker, Anderson, Mary Kathryn, and Chase. He enjoys golf, SEC football, biking and the outdoors. He has previoulsy served as pastor, associate pastor and interim pastor in churches in GA, NC and VA. He has enjoyed ministry at CSBC since October of 2010. A native of South Carolina, Chuck moved to Virginia with his family at an early age. He graduated from Roanoke College in 1991 and spent a significant portion of his early career in business consulting and sales at Carilion Health System and KMC Telecom. While serving in a bi-vocational ministry context, Chuck developed a passion for ministering to others within the local church setting. He is a 2009 graduate of Southeastern Baptist Theological Seminary with a Master of Divinity in Pastoral Ministry. Chuck is married to Susan and has five children: Cameron, Emma, Carson, Willow and Ezra. He enjoys spending time with his family and outdoor activities. Chuck has been serving at CSBC since August of 2011. Born in Washington, DC, Jon spent his formative years in Caracas, Venezuela where his parents served as missionaries with the IMB. He is a 2010 graduate of Southeastern Baptist Theological Seminary with a Master of Divinity in Christian Ministry. Jon has been married to Brenda for 32 years. They are parents to Jonathan, Aaron, Hannah, Natalie and Rachel. He enjoys spending time outdoors with his wife and family, reading and watching old movies. 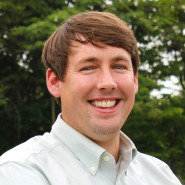 Jon has served at CSBC since April of 2012. Chip is a native of Rocky Mount, NC and received Jesus Christ as Lord and Savior in high school. 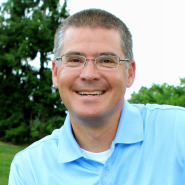 While in college, Chip worked at a Christian summer camp, Camp Willow Run, where he met his wife Lauren and developed a passion for ministering to children and students. Upon graduation, Chip taught high school in Durham, NC and then worked as a youth pastor on the Outer Banks, NC for three years. 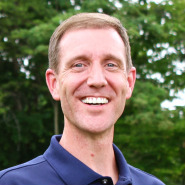 Chip is a graduate of the Southern Baptist Seminary with a Master of Divinity in Christian Ministry. Chip has been married to Lauren for 7 years and they are the parents to Will, Nora Kate, and Luke. He enjoys spending time with his family and friends, especially outdoor activities- hiking, biking, and grilling out! Chip has served at CSBC since October of 2012. Allen came to Cave Spring Baptist via Asia where he and his family served as missionaries for 20 years. In Asia, he was a church planter and trainer of pastors and indigenous missionaries. In coming to the valley, Allen has returned to where he grew up before leaving to attend college at James Madison University where he met his wife, Stepheny. They have been married for 28 years. Together they have raised 3 boys: Timothy, Joshua & Peter. 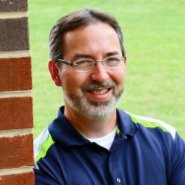 Allen is a graduate of Southeastern Baptist Theological Seminary and holds a Master of Divinity and a Master of Arts and Intercultural Studies. Inheriting a love for the outdoors from his dad, Allen enjoys biking, hiking, and snorkeling. For Allen, an ideal way to spend a day would be walking on the beach and then sharing a good book with Stepheny. Allen has served at The Cave since March 2015.